Am curious as to the source of your statistics. 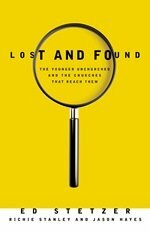 Am working on a project about young adults and the smaller church so would appreciate any info you can give me on research pertaining to such. Thanks. It is very encouraging news to think this audience is not as hostile toward the bible as I thought. Everything is Spiritual, a dvd by Rob Bell, does a wonderful job of summarizing some of this conversation.